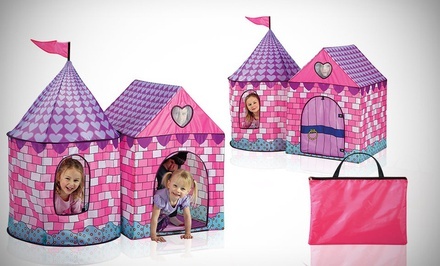 Children’s Fairy-Tale Deluxe Princess Tent. Free Returns. – Children’s Fairy-Tale Deluxe Princess Tent. Free Returns. $24.99. A $44.99 value. A 44% discount. Castle-shaped tent with two compartments, both of which fold flat and stow inside a carrying case.